It’s been a long road to recovery, but the economy is finally bouncing back after the Great Recession. Businesses are growing, companies are hiring and quality talent is in high demand. For the skilled worker, the job market has shifted in their favour, and professionals everywhere are taking advantage. The findings of the sixth annual Job Seeker Nation Study by Jobvite explore the progression of the job market, the modern job seeker’s approach to job hunting, and what this means for the workforce in 2015. Now more than ever, we’re seeing job seekers take control of their search for employment—using mobile devices to look for work from just about anywhere, leveraging social networks to find opportunities, and basing offer acceptance on the things that matter most to them, such as compensation and work/life balance. Other interesting findings touch on trends in job tenure, reasons for leaving employment, and honesty on social media. All social networks are NOT created equal in the job search. Facebook, LinkedIn and Twitter are still the BIG3 for job seekers, but watch out for Instagram, Pinterest and Snapchat in 2015. 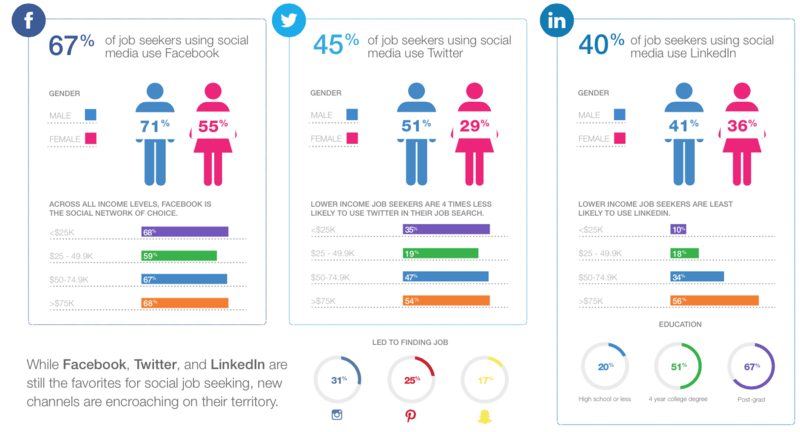 It’s interesting that Facebook is still no.1 for job seekers, but LinkedIn comes up tops for recruiters. 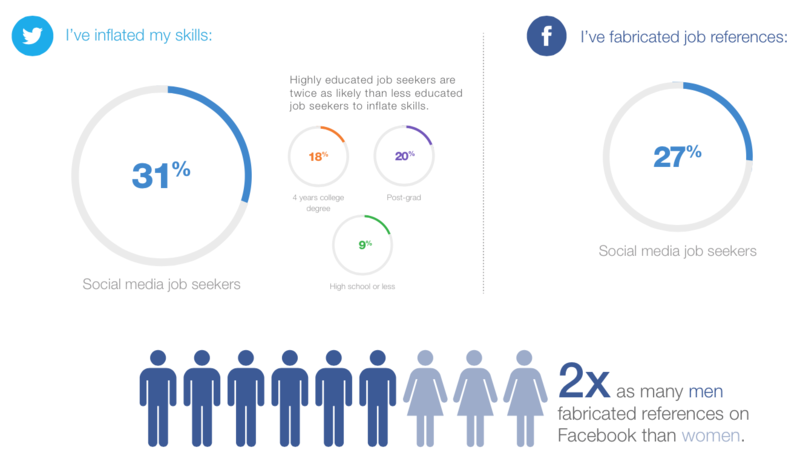 For some job seekers, honesty isn’t the best policy on Facebook and Twitter. This behaviour seems to be more prevalent amongst male job seekers. Mobile is gaining traction fast in the job hunt. Millennials are fuelling the workforce, and 47% of them are using mobile in their job search. Below are the answers to: “Which of the following activities have you completed during your job search on a social network and on which device: mobile or desktop?”. Mobile job searching is no longer taboo. 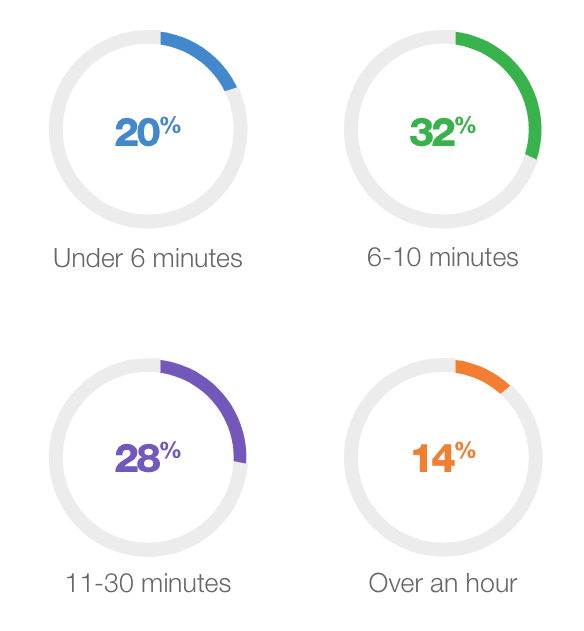 Job seekers are devoting time on mobile to find their next job. As long as there is signal, you can engage with candidates. Research is now a job-seeking prerequisite. 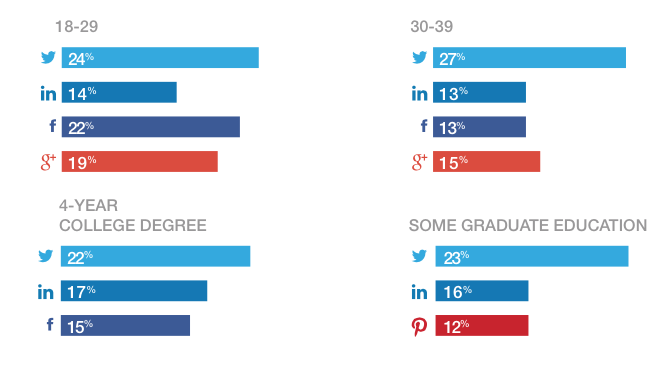 Younger, highly educated people are most likely to use social media to look up information about the skills/experience of current employees at a company of interest. Job seekers want to know about company culture. 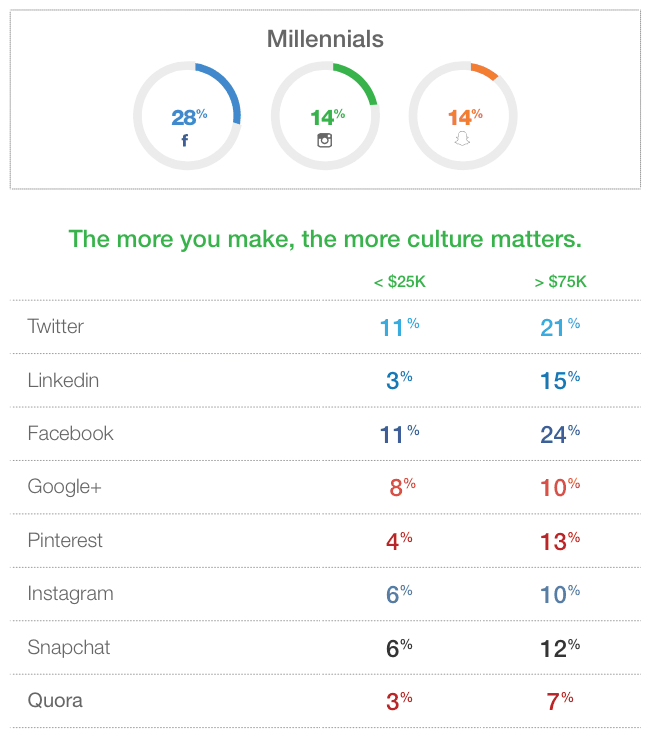 Job seekers use a plethora of networks to assess a company’s culture, but overall, Facebook is the top choice at 18%. The job market is looking up: compared to 2013, fewer people in 2014 said it was difficult to find a job. Everyone has their eye out for a better opportunity: 45% of workers will jump ship for a new job even though they are happy in their current position. Job seekers are surfing the wave of career opportunities. Technology sees the highest short-term turnover, but no industry is exempt from job-hopping. Over a quarter of job seekers view their current position as a stepping-stone, another indicator that people see their jobs as a growth experience rather than an endgame. Money talks: it’s the most influential factor both in deciding to leave a job and in choosing a new one. Men and women agree on one thing: both genders (38%) value work/life balance equally when considering a new job. Job seeking is now a 24/7 activity: job seekers search for new positions on mobile during their commute (38%), on the job (30%) and even in the bathroom (18%).